NVE Corporation, a developer of spintronics products including ultra-sensitive magnetic switches, announced in October the companys financial results for its second quarter ending September 30. Total revenue for the quarter increased 7% to $7.5 million. The increase was due to a 10% increase in product sales, partially offset by a 26% decline in contract research and development revenue. For the six months, total revenues were up slightly to $14.6 million as a 5% increase in product sales more than offset a 48% decrease in contract research and development business. Net income was $8.2 million for the first half of the year. Based in Eden Prairie, MN, NVE is a leader in the practical commercialization of spintronics, a nanotechnology that relies on electron spin rather than electron charge to acquire, store and transmit information. The company manufactures spintronic products including sensors and couplers that are used to acquire and transmit data. NVE has also licensed its spintronic magnetoresistive random access memory technology, commonly known as MRAM. The company recently introduced several new tunneling magnetoresistance products. An increase in research and development expense supported the companys growth strategy of developing new products for the fast-growing Internet of Things, said Daniel Baker, president and CEO, in his letter to shareholders. Our development strategy is smaller, smarter, lower-power products, he noted. 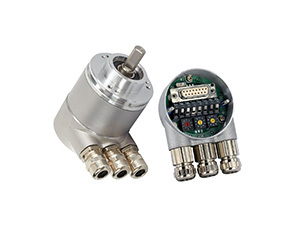 Launches the past year included products billed as the worlds smallest analog sensors; the worlds most sensitive magnetic switches; high-field sensors; low-power data couplers; plus new angle, rotation and current sensors. He cited recent projects including a U.S. Department of Agriculture grant to develop spintronic sensors for faster detection of food-borne pathogens; contracts for the U.S. Army and Navy that could have long-term commercial potential, and we continued to qualify components for the most demanding applications imaginable, including NASAs Europa flyby mission.